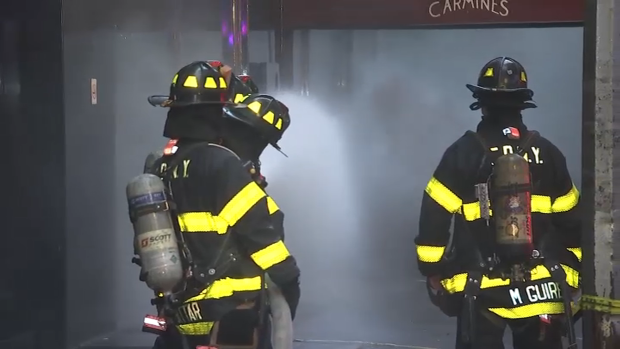 Fire broke out at the iconic Carmine's restaurant in Times Square early Friday, sending smoke billowing out the entrance as firefighters crowded the scene. The restaurant says a transformer sparked the blaze. Fire broke out at the iconic Carmine's restaurant in Times Square early Friday, sending smoke billowing out the entrance as firefighters crowded the scene. 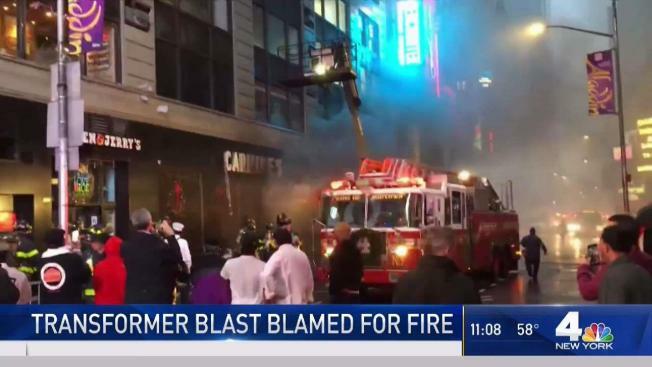 Carmine's said in a statement that a transformer in the street outside the 44th Street eatery sparked the blaze and no one was hurt. A worker at the scene tells News 4 he and colleagues were in the basement when one of his co-workers noticed a small fire around 7:30 a.m. He says they were about to call the fire department when suddenly, "it just blew up." The restaurant was evacuated. Photos from the scene showed a major emergency response. Witnesses said nearby theaters were shrouded in smoke. The restaurant, favorited by tourists and locals alike, said it would be closed for lunch Friday as a result of the fire. All reservations were being re-routed to its sister restaurant Virgil's. It hopes to reopen for dinner. "We are working fast to get the restaurant in shape, and hopefully we will be able to open for dinner tonight," Carmine's said.